This event is free if you are a Mo-Kan STMA member. Please contact mokanstma@yahoo.com regarding membership or registration issues. This event is $15 for non-members and includes lunch. Individuals can also become a member of Mo-Kan STMA which will include the cost of this event and the fall event. 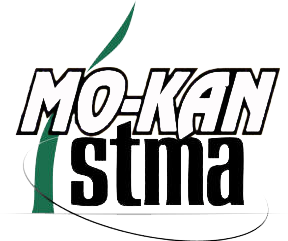 Non-Commercial Mo-Kan STMA membership is $25 and Commercial Mo-Kan STMA is $50. See the commercial and non-commercial registration types to join. Please contact mokanstma@yahoo.com regarding registration problems or issues. Mo-Kan STMA is proud to announce our next event will take place on October 10th, 2018 at Rock Chalk Park in Lawrence, Kansas. Registration will begin tentatively at 7:30 am and lunch at noon. Please park near the maintenance shop located in the northwest corner of the park. EVENT DETAILS: Event will be outdoors @ Rock Chalk Park and Allen Fieldhouse grounds.